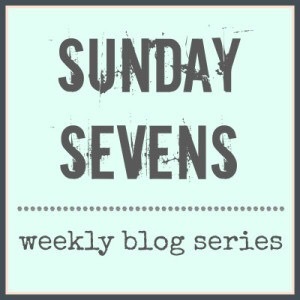 A weekly blogging series designed to round up your week in 7 images. For all the info, including what a good one looks like, hop over to Nat’s blog. 1. 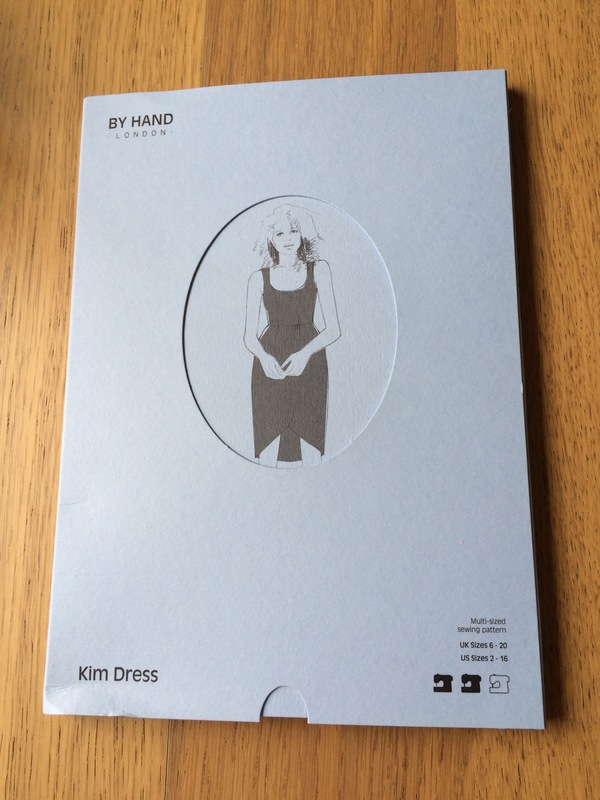 I know I’m late to the party, but I keep seeing so many beautiful Kim (and also Anna!) dresses made up that I decided to grab one of the few remaining paper copies. It’ll now spend a while waiting in my To Trace pile. 2. My house has had a much needed central heating update. As with all jobs of this kind, they cause a lot of disruption and make a lot of mess. 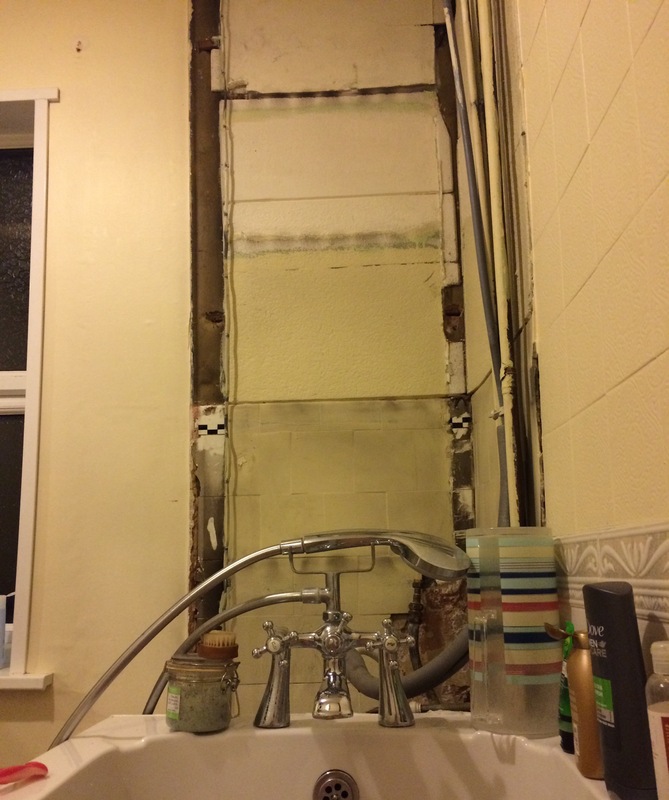 There’s now an attractive area in my bathroom where the airing cupboard used to be. 3. It’s been International Education week, when all classes at my school chose to study a country. I chose Canada, and spent a little time flicking through my photo album and reminiscing about the semester I spent in London, Ontario back in 2002. 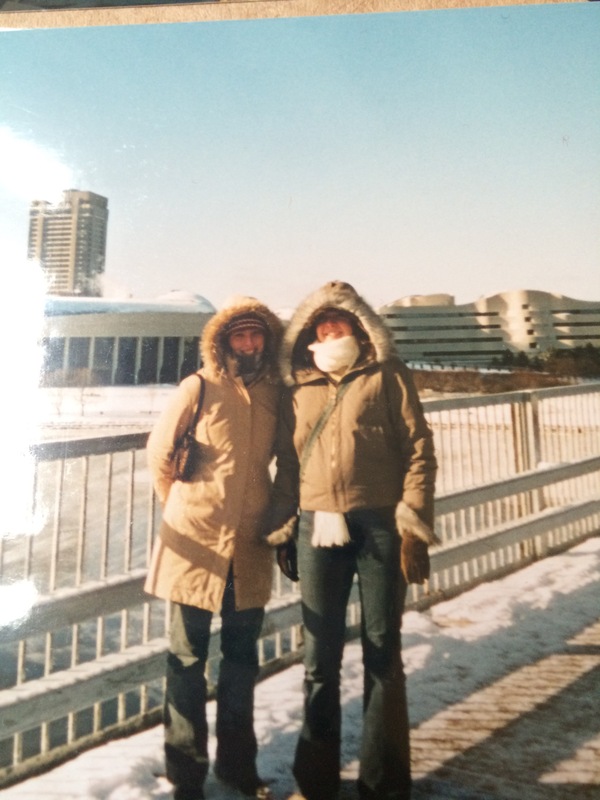 This photo was taken of me with my university friend Katie in Ottawa when it was -13. Good times! 4. This week’s obligatory dog photo. 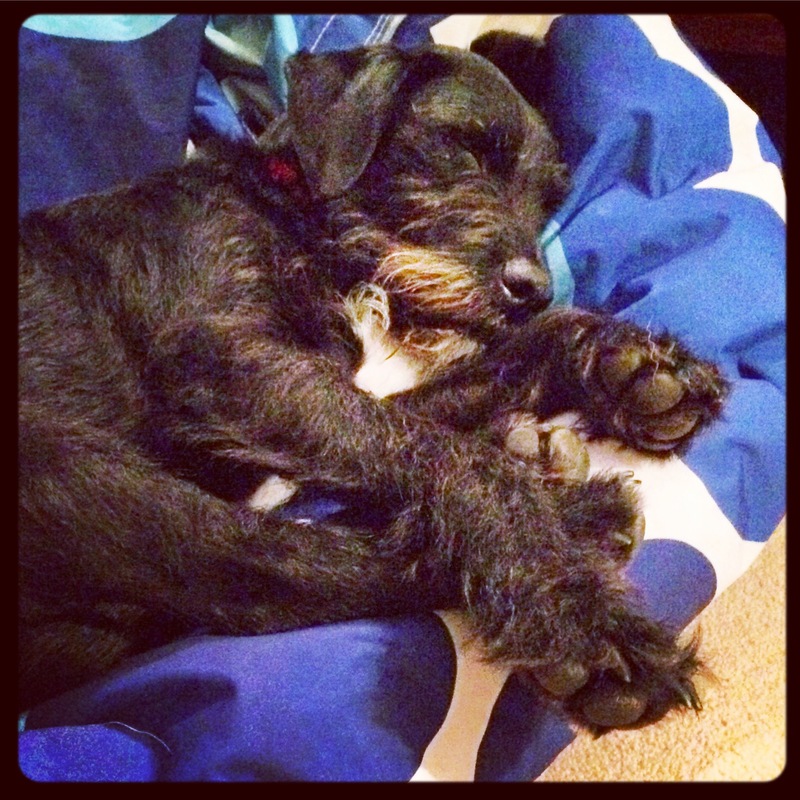 A sleepy Wilfie after much celebrating after his birthday celebrations. 5. 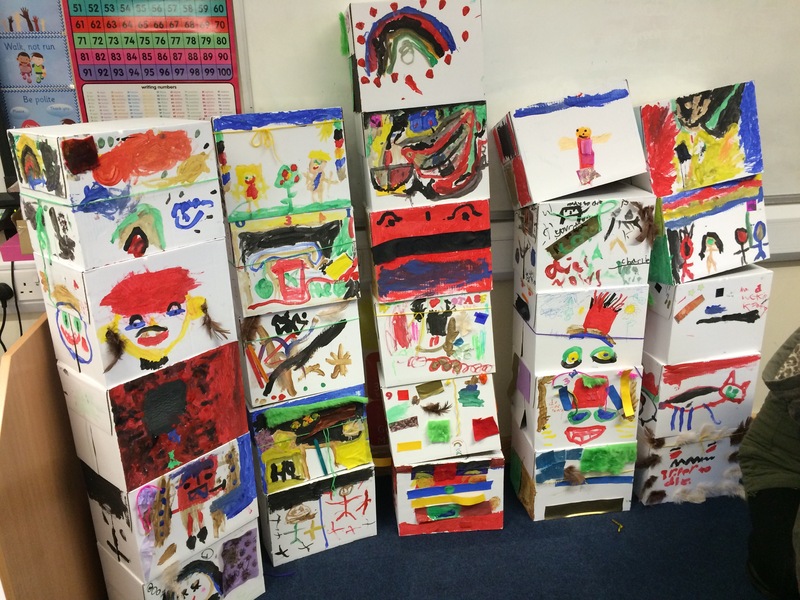 My class made totem poles, inspired by those in Stanley Park, Canada. I currently have a PGCE student in my class and she led the activity, and the children absolutely loved having so much freedom with such a creativity task. 6. 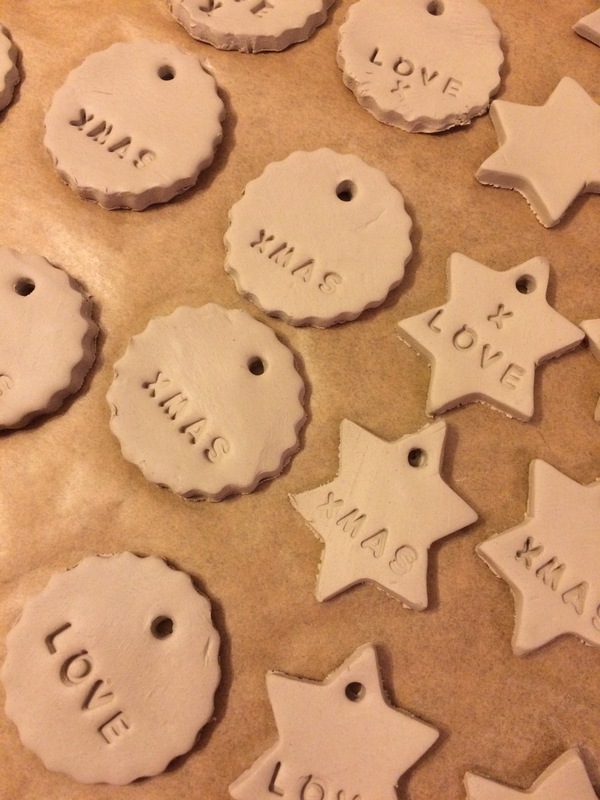 I made some clay gift tags/tree decorations ready for the school Christmas fair – I used half the clay and saved the other half for the class to make their own! 7. It’s taken me almost two weeks to collect a couple of parcels from the post office. One container this beautiful fabric that I ordered for a Christmas dress. 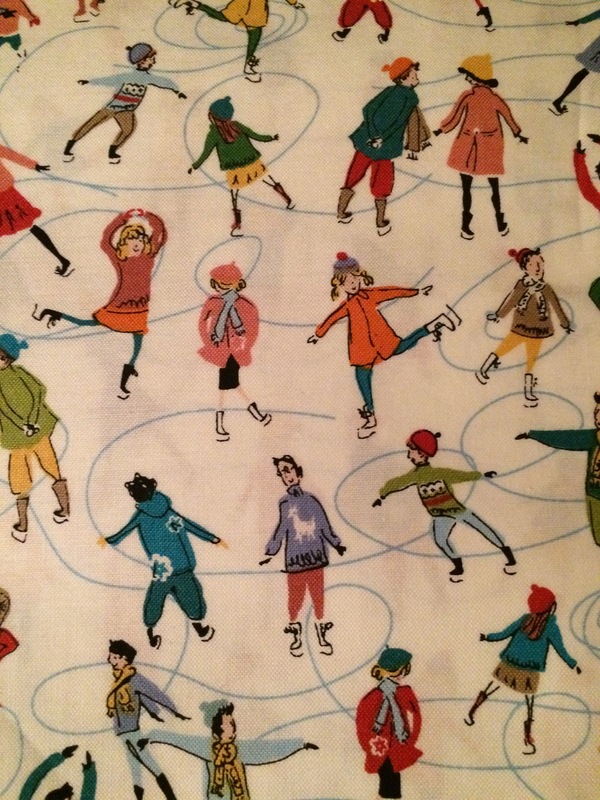 I’d like to make an Emery – it’s a pattern I got last Christmas and STILL haven’t traced yet! But I only ordered 3m of this so I’m not quite sure it’ll be enough? Plus I know, I know, I should make a toile/cheaper version first to sort out any fitting issues. So there’s my week in a nutshell. It’s not yet time to ease into Christmas mode yet but it’s definitely time to begin making plans and getting organised. I keep thinking of gifts and projects that I should have started (and finished) long ago. I haven’t even started watching my Christmas DVD collection yet! I love the run up to Christmas and taking time to find and choose gifts. I have high hopes for next week’s Knitting and Stitching Show! Are you ready for Christmas, or still making plans? Now that is a beautiful fabric, I also have the Emery pattern, but am yet to try it? Will look forward to sewing how you get on with it. You have had a busy week! When was Wilfie’s birthday? Daisy had her first birthday on Thursday 🙂 Love how creative you are getting in the run up to Christmas – the decs look great; I’m sure you’ll sell them all!